Global engineering company, Renishaw, hosted two work experience weeks in Summer 2017. 95 students took part in the Engineering Work Experience programme and 14 students attended the Software Work Experience programme. The aim of the weeks is to give students a real insight into what an engineering career can entail. The company offered week long placements at its Wotton-under-Edge headquarters to students aged 15 to 17 from over 40 local schools. As a part of the engineering focussed weeks, the students undertook projects to design a product using magnetic levitation to aid manufacturing. In the second week, the students were tasked with designing a versatile measuring machine for schools and small businesses. During the Software Engineering Week students were given the opportunity to design a computer game. Over the course of the Engineering Week, students worked in teams to design and build a concept model, using computer aided design (CAD) software. The projects build on topics the students have learnt as part of the school curriculum, furthering their teamwork, communication, presentation, problem solving and technical skills. As a part of the projects, students took on specific roles in a team to replicate how Renishaw’s projects are structured. The students assessed all elements of product design including design, production, market research, finance and marketing. At the end of the week, each team presented its project to an audience of peers, science, technology, engineering and maths (STEM) ambassadors and senior members of Renishaw staff. 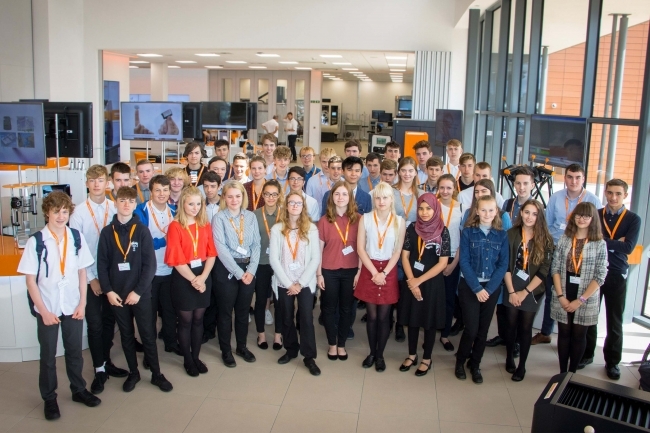 As well as participating in projects, the students were given tours of Renishaw’s impressive Innovation Centre and a careers talk to open their eyes to the opportunities available in engineering and software and where a career in these sectors could take them. “For many of the students, engineering is brought to life during this week” explained Rebecca Bound, Education Liaison Officer at Renishaw. “Throughout the experience the students realise that engineering combines the science and maths skills they have already developed at school. It was incredibly rewarding to see the students grow in confidence over the week and the concept models and presentations were a real credit to the hard work and effort that the students made.